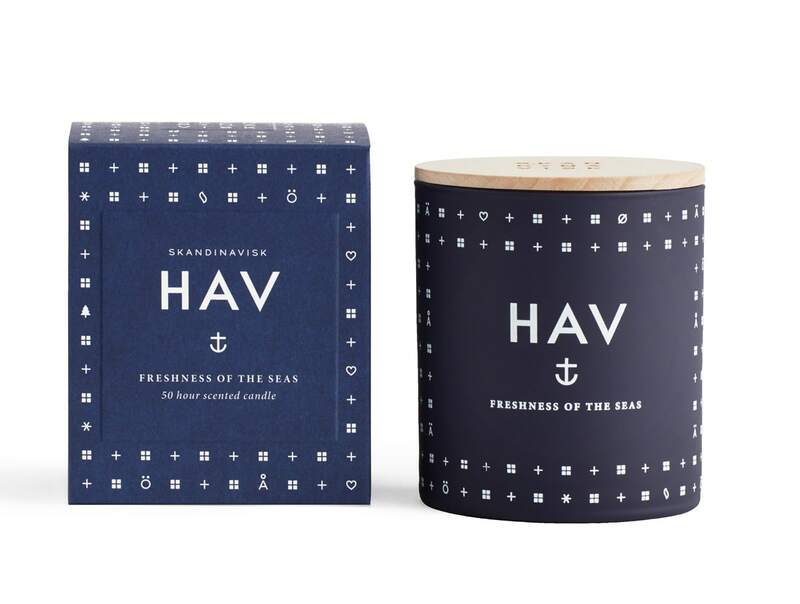 Behind the Nordic term HAV hides the German word for sea. No wonder Skandinavisk chose blue glass for this scented candle. The rough winds and cold waters could not be visualized better.